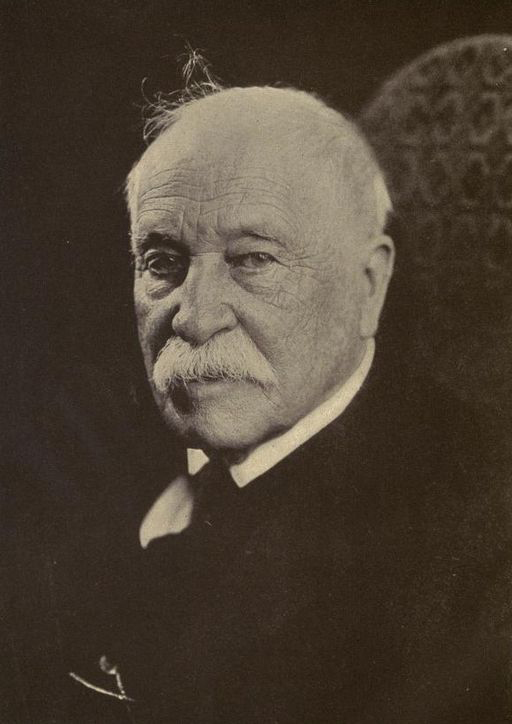 Through his writing, novelist and critic William Dean Howells captured the political and social aftermath of the Civil War. Given his limited involvement in politics, Howells’ works focused on the lives of common people over the uncommon, whom he deemed “essentially unattractive and uninteresting.” In the following excerpt from The Republic For Which It Stands, acclaimed historian Richard White draws on the writings of William Dean Howells as he examines American Reconstruction and the Gilded Age. The Gilded Age produced uncommon men and women. They abound in this volume, but in Howells’s lifetime, and during the twentieth century, businessmen who amassed wealth on a scale never seen before in American history became the face of the period. Contemporary caricaturists and later historians named them the Robber Barons, but this, as well as their later incarnation as farsighted entrepreneurs, gave them too much credit. They never really mastered the age. When Howells wrote of “the insufficiency of the uncommon,” he probably had them in mind, seeing them as insufficient to the demands of the period for the same reasons as Charles Francis Adams, who had aspired to be one of them and then dismissed them his Autobiography. I have known tolerably well, a good many “successful” men—“big” financially—men famous during the last half-century, and a less interesting crowd I do not care to encounter. Not one that I have ever known would I care to meet again, either in this world or the next; nor is one of them associated in my mind with the idea of humor, thought or refinement. A set of mere money-getters and traders, they were essentially unattractive and uninteresting. In a period that began with such exalted hopes and among a people so willing to proclaim their virtue as were Americans, sufficient seems condemning with faint praise, but a sobered Howells writing in the midst of what seemed a prolonged economic, political, and social crisis expressed a restrained optimism. Howells did not romanticize the “common people.” The failure of Reconstruction in the South was, in part, their failure. They often at least consented to the corruption of democratic governance. 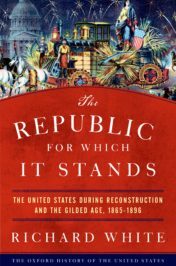 And for most of the Gilded Age the “common people” questioned whether they really had much in common as race, religion, ethnicity, class, and gender divided the nation. Yet their actions transformed the country, even if they undertook perhaps the most consequential of these actions—the movement into wage labor—unwillingly and under duress. In judging them sufficient, Howells settled down in between the dystopian and utopian fantasies that marked the age. Millions of ordinary Americans had remade the country with their work, their movements, their agitation, their tinkering, their broad and vernacular intellectualism that neither aspired to nor created a high culture, and even with their amusements. They had not succumbed to the long economic and social the crisis that threatened to overwhelm the country. What they accomplished was sufficient. It was a foundation on which to build. Howells and his contemporaries never escaped the great gravitational pull of the Civil War. The era began with the universal conviction that the Civil War was the watershed in the nation’s history and ended with the proposition that the white settlement of the West defined the national character. Changing the national story from the Civil War to the West amounted to an effort to escape the shadow of the Gilded Age’s vanished twin and evade the failure of Reconstruction. Rewriting the Civil War as a mere interruption of the national narrative of western expansion minimized the traumas and vestiges of the Civil War and downplayed the significance of the transformation of Gilded Age economy and society. But too much had changed, and too much blood had been spilled in the War, for such a simple story of continuity to be fully persuasive. The twin, never born, shadowed the Gilded Age. A vision of a country un-achieved lingered, and quarrels over what should come next remained unresolved. Featured image: “Atlanta roundhouse ruin” by George N. Barnard, circa 1866. Public domain via Wikimedia Commons. Richard White is Margaret Byrne Professor of American History at Stanford University. He is the author of numerous prize-winning books, including Railroaded: The Transcontinentals and the Making of Modern America, The Middle Ground: Indians, Empires, and Republics in the Great Lakes Region, 1650-1815, "It's Your Misfortune and None of My Own": A New History of the American West, and most recently The Republic for Which It Stands: The United States during Reconstruction and the Gilded Age, 1865-1896. He is a recipient of a MacArthur Fellowship, a Guggenheim Fellowship, and a Mellon Distinguished Scholar Award, among other awards.